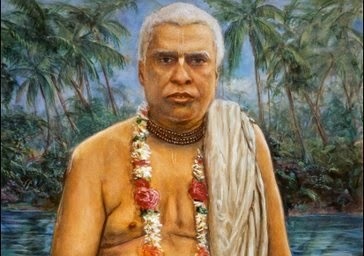 June is Bhaktivinoda Thakura Month! ~ The Toronto Hare Krishna Temple! June is Bhaktivinoda Thakura Month! teachers (gurus) of which one is Srila Bhaktivinoda Thakura. A Deputy Magistrate in colonial India during British rule, he wrote over 100 books on the teachings of Krishna and paved the way to sharing this knowledge past the boundaries of India to the rest of the world, all the while raising a family of 10 children! He is known for his personal dedication even in the face of many adversities as well as laying the foundation of our now, international Krishna conscious movement. This month of June will honour this revolutionary leader Srila Bhaktivinoda Thakura and his divine legacy as we commemorate 100 years from his disappearance. This will include special Sunday feasts, guests, events and lots of kirtan! Please see below as well as the side bar for events that will happen throughout the month! Our regular Sunday Feasts will be enlivened by special discourses on the life and teachings of Bhaktivinoda Thakura and how we can take personal inspiration from his example of dedication to Krishna. Please check out the schedule of speakers on the side bar for scheduled discourses. As a special treat, all month we will be singing the bhajans (songs) that were written by Bhaktivinoda Thakura after the 8:00pm arati at 8:30pm. Please join us for some sweet chanting! Evening of discussion on the teachings of Bhaktivinoda Thakura, melodious bhajans (songs) and prasadam! Our regular Monthly Sankirtan Festival - an opportunity to share our spiritual culture with the streets of Toronto - will be dedicated to Bhaktivinoda Thakura with TWO shifts going out! For more information and to RSVP, please contact the Sankirtan Team at toronto.sankirtan@gmail.com . 6 hours of non-stop kirtan (chanting)! Schedule for this event will be available closer to the date. Please join us for all of these special events as we celebrate the great acharya (teacher) Bhaktivinoda Thakura!